Costs – Don’t pay more than these listed average costs of tree removal, maintenance and stump removal in Ventura, California. FAQs – Are you considering a lodgepole tree for your Ventura backyard? Are you aware of current tree pests in the area? Learn more about the tree culture of the city before planting any new trees. Services – Find a local tree pro today to help you with your trees. How Much Do Tree Services Cost in Ventura? Many homeowners have the knowledge and the tools to do most yard maintenance themselves. However, there are some jobs that carry a higher degree of risk, especially for those using power tools or those that require the homeowner to climb great heights. For the jobs below, it is best to hire professionals to handle dangerous work. Like stump removal, tree removal in Ventura will depend on the size of the tree and the amount of material and resources needed to remove it. For instance, a large tree near power lines will cost more than a smaller tree. These costs can range anywhere from $500 to $2,000. The cost of stump removal in Ventura will depend on the size of the stump and the complexity of the project. The cheaper option is to simply grind the stump down using a stump grinder. The costs for this range from $80 for a smaller stump to $145 for a larger one. For a stump to be removed entirely, it generally costs between $125 and $200. Tree trimming in Ventura can vary wildly in price. Generally, a company will need to come inspect the property and the tree before giving an estimate of the cost. However, in most cases, the total expense will be between $250 and $500. Like stump removal, the cost could be higher depending on the amount of resources needed to trim the tree. Nestled on the Pacific Ocean between Los Angeles and Santa Barbara, Ventura is a city of 106,000 people. It is known for its beautiful climate, pristine beaches and bountiful outdoor activities. This idyllic town is home to a variety of greenery, including the trees listed below, and they require regular care to maintain the area’s appeal. Certain trees are protected in Ventura and cannot be removed without a permit. These include trees that are taller than 4.5 feet, that measure 90 inches in girth or larger, or have a circumference of 9.5 inches or greater. To remove one of these trees, a property owner needs to contact the county’s tree permit planner to begin the process. Because of the extremely temperate climate, there are not distinct seasons in Ventura. However, if tree work is needed, it is generally best to get it done by October before the rainy season begins in November and December. Ventura has very strict laws regarding the planting of new trees, whether they are near power lines or not. Before engaging in any landscaping work, it is important to contact the local County tree commissioner who will make sure you have all the necessary paperwork and permits before engaging in any tree maintenance or tree planting. Homeowners who want to plant a new tree should avoid planting a tall species within 15 feet of a power line. 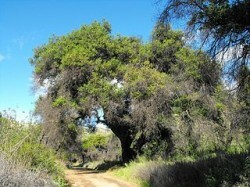 One of the most common trees in Ventura is the coast live oak (Quercus agrifolia). This tree runs along the coast from Southern California into Baja California and is similar to the canyon live oak. The state tree of California is the redwood (Sequoia sempervirens). It’s is known for its massive size and incredible longevity and renowned worldwide for its beauty and majesty. Because of its moderate climate, there are many different types of trees that thrive in this city. Some common trees include white firs (Abies concolor), California sycamores (Platanus racemosa) and ash trees (Fraxinus caroliniana). T here are many different types of fruit trees available to grow in Ventura. Among these are apples, peaches and avocados. Any fruit tree that grows in a temperate climate will do well here, so it’s easy to plant an an attractive and productive fruit tree in your yard. One of the tallest trees in Ventura is the sugar pine (Pinus lambertiana). This tree can get as tall as 200 feet and is one of the tallest trees in California. 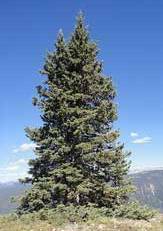 The shortest trees in Ventura are Douglas fir trees (Pseudotsuga menziesii). This tree, growing from 5 to 7 feet, is known around the country as one of the most popular types of Christmas trees. Because of the wide variety of trees in California, there are many different types of afflictions that can affect trees. 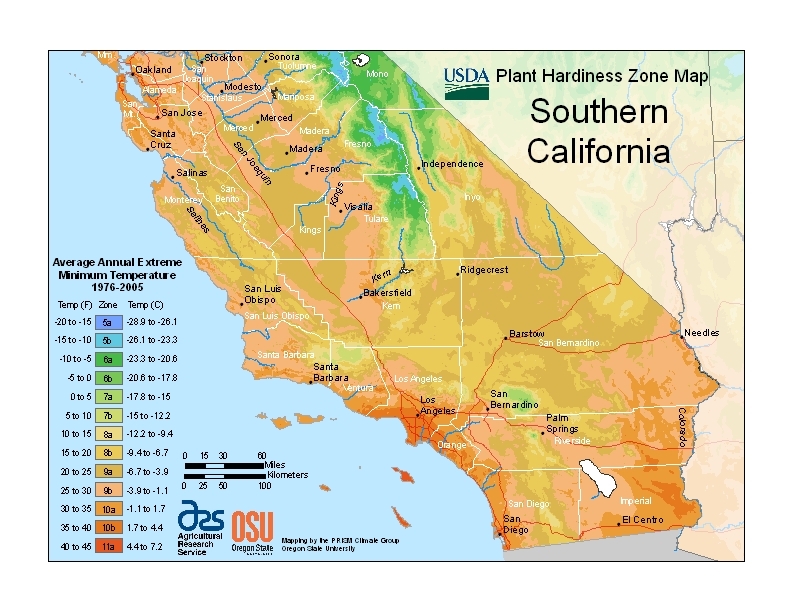 Some common tree diseases in Ventura include anthracnose, gold-spotted oak borer and oak root rot. Whether it is a pest infestation or a type of fungus, it is important to contact a professional who can diagnose your tree problem and find a solution. If this problem spreads to other trees in your yard, it will be even more difficult and expensive to fix. One of the most difficult trees to maintain is the lodgepole Pine (Pinus contorta). These trees produce pine cones which need to be picked up when they fall. If you plant this tree in your yard, prepare to clean up the pine cones to avoid any disputes with the neighbors.